I have blogged about Google a lot since firing up the Webo blog in 2006. I have decided to compile the blog posts here in one handy and easy to read page. I may add an index to the top of this page if I can find that WordPress plugin again. These posts are in reverse chronological order, starting in 2007 and going up to 2009. Again, this blog post is in reverse chronological order, so oldest posts down at the bottom. It does seem that in years gone by Google had a lot more server issues than they do today. Embedded videos are still playing though. Just their homepage offline. Well, the server that runs the website offline. I guess there is a separate server that stores the videos. In what seems like a U-Turn on the dream of making the Internet more accessible, Google have announced plans to limit how much news people can read. Newspaper publishers will now be able to set a limit on the number of free news articles people can read through Google, the company has announced. The concession follows claims from some media companies that the search engine is profiting from online news pages. Under the First Click Free programme, publishers can now prevent unrestricted access to subscription websites. Users who click on more than five articles in a day may be routed to payment or registration pages. “Previously, each click from a user would be treated as free,” Google senior business product manager Josh Cohen said in a blog post. Luckily the BBC is still free – although maybe one day non-license payers may no longer have access? Oh no, they just see lots of Adsense! WHY DOESN’T THE BBC PUT ADVERTS ON FOR IS UK PEOPLE AND ABANDON THE LICENCE FEE? Google is developing Google Sites into a new free web hosting service. Maybe they have responded to the closure of Yahoo’s Geocities. They have stated that they have seen a large increase in businesses using Google Sites. I’m pleased to announce we just added a stocked gallery of site templates in Google Sites. Anyone can browse the public template gallery, and businesses using Google Apps each have a private area where employees can share site templates with coworkers. Interesting changes to the way Google displays search results. In addition to the website URL it will also show a breadcrumn style trail from the homepage whenever it can. Google usually shows a green web address, or URL, at the bottom of each search result to let you know where you’re headed. Today we’re rolling out an improvement that replaces the URL in some search results with a hierarchy showing the precise location of the page on the website. The new display provides valuable context and new navigation options. The changes are rolling out now and should be available globally in the next few days. Some web addresses help you understand the structure of the site and how the specific page fits into the site hierarchy. For example, consider a search for the biography of Vint Cerf (Google’s Internet Evangelist). The URL for one result, “www.google.com/corporate/execs.html,” shows that the page is located in a page about “execs,” under “corporate,” which is on the “google.com” site. This can provide valuable context when deciding whether to click on the result. Often, however, URLs are too long, too short, or too obscure to add useful information. For example, consider this result from ProductWiki for the query. Google Mail is Broken Again! Server Down. No Warning. Outage! Outrage! We’re sorry, but your Google Mail account is temporarily unavailable. We apologise for the inconvenience and suggest trying again in a few minutes. Once again the GMail servers have died. Right in the middle of the day (or start of the day for the Americas). Come on Google. Fix your servers! Many people are starting to rethink the whole idea of using cloud servers for either business or personal email. Maybe time to go back to POP3. Google Mail Server is Down! I cannot access GMail of Google Chat. Other Google products appear to be working. Actually, Analytics is playing up, as earlier I could not set up a new account. Sudden feeling of panic – over reliance on Google and the cloud? OK, ISP’s in the past have had their far share of downtime, but we have come to expect better from our friends at Google. Isn’t their infrastructure supposed to be the best? How are they going to run their Chrome operating systems in the cloud if their web mail service fails? Come on Google, get wake up the spanners and coders and get it fixed! I have work to do! Is Your Business Ready to “Go Google”? “Every morning, millions of people wake up to a very refreshing experience at work. They don’t see “mailbox is full” errors in their email. They don’t worry about backing up their data. They can get to any file they need from any computer, anywhere with Internet access and a browser. They can all access and edit the same documents and spreadsheets at the same time as their colleagues. They use Gmail and Google Calendar at work as fluidly and easily as they use their personal Gmail accounts. They video, voice and text chat with their peers globally as naturally as they send email. The IT people at these companies and organizations don’t waste time or money buying, installing or managing email servers. They focus on the smart, innovative stuff they want to work on, because they never have to bother with expensive and painful software upgrades, hardware compatibility issues or managing data centers. They have left many IT frustrations and costs behind and moved on to something better. So, are you ready to take your business into the clouds, and Go Google? Google’s SEO Eric Schmidt is resigning from Apple’s board of directors. The reason is the increasing rivalry between the two companies, and the issue that two of the biggest tech companies in the world are sharing directors can have implications regarding competition and insider information and antitrust rules. Steve Jobs, CEO of Apple said in a statement today that Schmidt was having to exit more meetings due to the fact that the two companies, that were previously operating in different markets, and getting increasingly closer. Google has recently expanded into the computer and mobile-phone software, creating direct competitors to Apple’s products. Google’s G1 mobile phone using its mobile operating system called Android is now competing with Apple’s iPhone. Also, Google has announced that it is planning to launch its own PC operating system, called Chrome, which will be in direct competition with Apple’s Mac computers, as well as Microsoft. Although it is a great loss for Apple, and a real shame that some of the greatest minds in the IT arena can no longer sit around the same table, it is certainly a good move for the industry and shareholders alike. Yesterday Google was in the UK High Court. The ruling was in favour of Google, and was that Google is not liable for any defamatory comments that appear in its SERPs (search engine results pages). Mr. Justice Eady ruled that Google’s search engine was not responsible for comments relating to Metropolitan International Business Schools, who specialise in distance learning courses. The court declared that Google is merely a facilitator of content on the internet, and not a publisher. This leads to an interesting question for all webmasters. What is the meaning of published content now? If you display RSS feeds from other websites, are you responsible for the content that appears or not? To what point, if at all, will you be responsible? Today Google explains a little more about the developments with its photo-mapping search engine. From now on, if there is a photo of a place available relevant to a location specific search request, it will be shown alongside the search results. Seeing the world with improved Google Search results: As an avid traveler, I know how helpful it can be to see a map when searching for a location on Google. Using our Universal Search technology, we have provided maps in our Universal Search technology, we have provided maps in our search results for more than two years. However, as any traveler could tell you, knowing the geographical location of a place is only part of the story. It’s often just as valuable to get a sense of what the place is like, and there’s no better way to do that than by looking at images of some of its most important sights Now, when you search for locations using Google Search you may see pictures from that place alongside a map. You can click on any of those images to go to the photos layer on Google Maps where you can browse many more geo- tagged photos. This was a long time coming, so nice to now be able to know how much money I have made without having to do an FX calculation each day! For all the British Adsense clients out there, there is some good news. You can now switch your reporting from USD to GBP. Finally daily revenue can be seen immediately, without having to look up the current FX rate and grabbing the calculator. I am not sure at the moment if the GBP figure is just a guideline and then adjusted daily / monthly, or if Google is using daily spot FX rates. Hopefully the latter, that we know for sure how much money we are making in the month. To update your account from dollars into pounds just look out for the prompt when you next sign in to your Google Adsense account, or click on your account and change preferences. Just seen today’s custom Google Search logo, and it is in celebration of 25 years of the Tetris effect. Looks pretty funky, certainly caught my eye and made me ask – what the hell? If you fancy playing Tetris online now, the best way is to visit the Tetris.com website and play for free. Although their server is a little slow at times……. but never mind about that, look at the cool logo! Yesterday Google managed to cause the world’s largest ever traffic jam. However, we are not talking about trouble on the roads, but internet traffic. Due to a technical glitch, yesterday thousands of people were almost cut off from the internet. What happened to Google? Yesterday Google’s search engine, email service (GMail) and news services experienced technical problems. Some say that the servers crashed. This caused a knock-on effect to millions of other websites, including Google’s YouTube, which was useless for hours. Some people were even unable to access their online bank accounts as Google Analytics software (for website owners to monitor site use) failed, and rather than allowing the page requests to skip the analysis, they just froze. The Google traffic jam started at about 14:30hrs, which is a busy time online. The Brits have had their lunch, and are surfing for something else to do other than work, and the Americans are waking up and checking their blogs and getting their news reports. However, should wee be surprised that this happened? It is really quiet impressive that there are not more problems like this on the internet now. Many web hosts suffer temporary outages, but these are only seen my a minority of users. For Google, with its code embedded into so many websites, it reminds us how good they really are. Google has apologised for all the inconvenience caused, and I trust them to learn from their mistakes, and use this as an opportunity to direct some of their best developers to improve the infrastruture. Did you have a problem accessing the internet yesterday? Let us know. Google continues to promote and encourage open source technologies by agreeing to sponsor Drupal modules in the net “summer of code”. “Google just announced that they will sponsor 18 Drupal developer stipends in this year’s Summer of Code program (SoC). Google provides a stipend of 5,000 USD to each student developer, of which 4,500 USD goes to the student and 500 USD goes to Drupal Association (or to the mentors). With 18 accepted applications this adds up to a 90,000 USD investment over a three-month period. In addition to Drupal, they are supporting a ton of other Open Source projects, including PHP, which Drupal heavily depends on. Drupal is open source, meaning that anyone can download it and install it on their server for free. Many web hosts provide installation as part of their service too. It is a very powerful piece of software, with some of the best multiple permissions options for users around. It is also highly customisable too. Recently we reported that some people were concerned that Google Street View would be used by thieves to view propereties and identify cars. It has now emerged that one ciminal has used Google Earth to source lead from roofs before carrying out raids under the cover of darkness. Tom Berge, 27, admitted to earning thousands of pounds sterling by selling stolen roofing material, which he initially sourced by examining satellite and aeriel images of historic buildings on Google Earth. In total Tom Berge raiding 30 roofs using Google Earth to find suitable materials. Commodity prices have actually seen a rise in value and recent years despite the credit crunch, and lead is sought after. Some local councils have had to start erecting fibre glass lamp posts to reduce crime, as the traditional metal ones were taken down and recycled by commodity theives. This turned out to be something I switched on accidentally, I think. Never happened again! 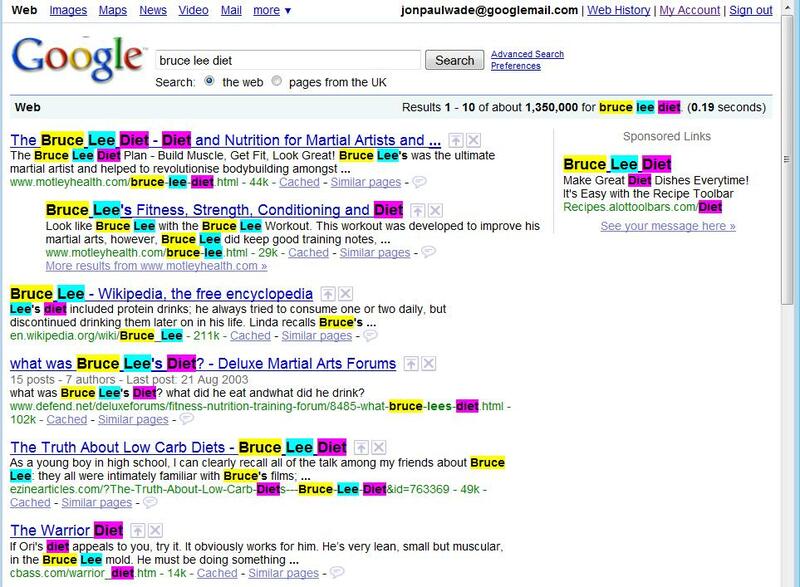 I just did a search on Google and on the results pages the search words were highlighted in yellow. This is slightly annoying, but it can help to pick out the words in the results. However, when navigating to a page, the results are still all highlighted. This is the same as when you viewed a cached page on Google. With the live pages, it looks really awful. Keywords being printed in bold by the publisher is often bad enough, but having a search engine interfer with the way a page looks is just no on at all. And there is no obvious way to switch the “service” off either. And there’s more. 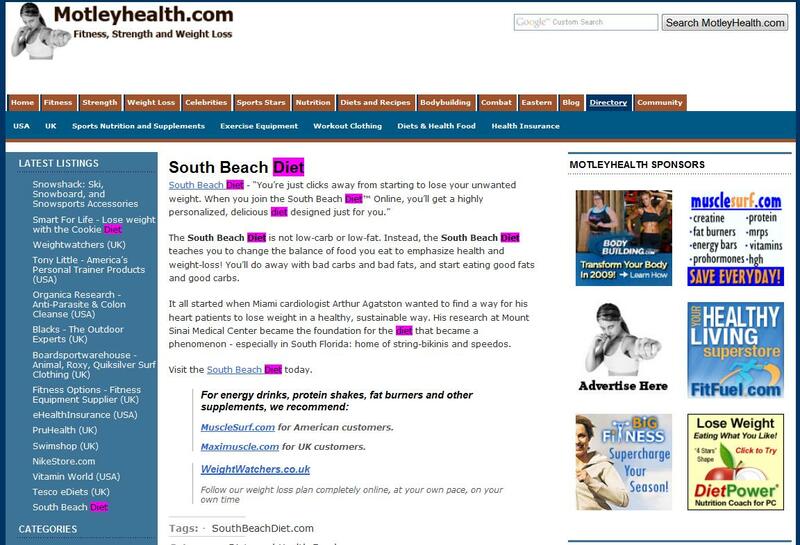 Even on other pages that you view, even of not searching for those keywords, they appear highlighted. Maybe thios is just a Sunday glitch in the sysem. Maybe the Google work experience boy was left to play with the code, and thought that he was in the test environment. Hopefully this is the case, and it will change back shortly. Please let this be the case! What Time is Earth Hour? This is one of the things that is great about Google. I have worked in an international bank for over a decade, and there is always talk of energy initiatives and the like, but they really make no effort. Recently LCD screens went up by the lifts on all floors, allegedly to provide information. 99% of the time they just show the company logo and a bunch of self congratulating marketing crap. But the most annoying thing is that no-one ever looks at them, as they are in the lift lobby. Nobody hangs around the lift lobby. My company also places glossy brochures on our desks in a regular basis (this initiative apparently comes from the motherland, and is not UK driven) but with have an intranet and email that can deliver these messages quicker, cheaper and more efficiently than printing glossy magazines and fliers that only a few people actually look at. Google would never do this. At least I assume that they do not do this. Madness. Waste of resources. Bookmakers and online casinos can now advertise on Google, in the UK. Yesterday Google received royal approval when the Queen, but was condemned as “irresponsible” by MPs and church leaders for lifting its four-year ban and allowing gambling companies to buy “sponsored links” on its site in Britain. Google introduced a global ban on gambling adverts on its site in 2004, but decided to end it for British customers after rules on television advertising for bookmakers, casinos and gambling websites were relaxed. Google insisted that all advertisers using the service would have to be regulated in Britain or Europe and would have to have internet links to organisations helping problem gamblers. But critics condemned the move, saying the adverts could attract people hit by the global economic downturn. Google insisted that its UK-based advertisers would have to be registered with the British Gambling Commission before advertising, while European operators would also have to be licensed in their home country. All would have to have links to the GamCare website. This news has given rise to some new Casino portals / directories in the UK, such as Casino Marker – UK’s Street Casino Directory. I cannot believe how short this post was, no wonder Webo got a Panda slap! Not sure what the correct terminology is, but Blogger FTP appears to be dead. If I were not so drunk on the Jack Daniels my parents bought me for my birthday, I’d complain. I was just browsing the web for interesting applications that can be installed onto my new linux box, and came across CheckGmail. This is a very simple tool that places a Gmail icon on the top menu bar of Ubuntu, and displays a small pop-up message when a new message comes in. On hover over a window is displayed which shows the most recent emails. Very simple. You no longer need to open up a web browser and log into Gmail to see new mails. So, if like me, you have set up a Linux box for web development projects and the like, but have not fully moved over to Linux, then this is a handy way to keep track or mails without having to set up your email accounts on Linux. Yet another reason to have a Google account!